in defense of his realism. 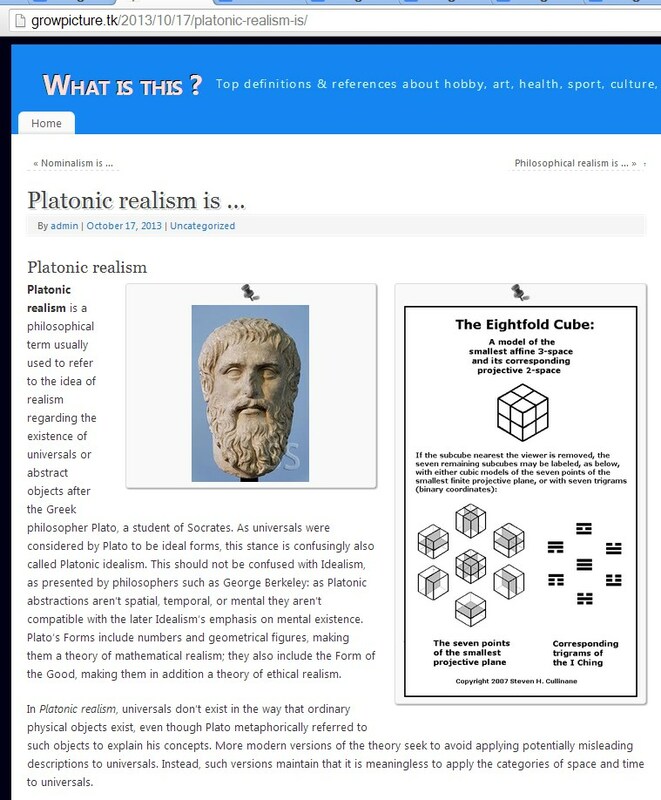 The remarks on Platonic realism are from Wikipedia. The eightfold cube is apparently from this post.